MANILA, October 9, 2017 – Gerard Butler (300, Olympus Has Fallen) took time to greet his Filipino fans in a special clip released by Warner Bros. Pictures, which also serves as his informal invitation for local audiences to go and see his new epic thriller Geostorm. Check out greeting video below and watch Geostorm in Philippine cinemas Thursday, October 12. “Kumusta, Philippines?,” actor starts his spiel. 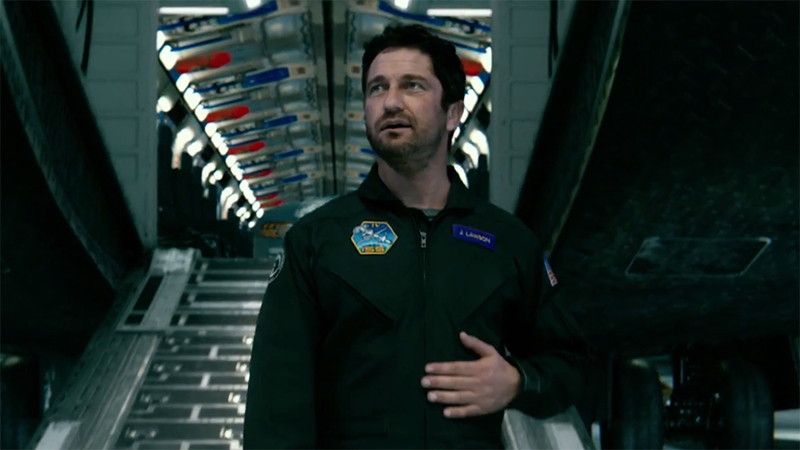 “I'm Gerard Butler, and in my new movie Geostorm, a global defense system is created to protect against climate disasters. But when that system is turned against us, all hell breaks loose. “Don't miss Geostorm in cinemas soon,” Butler concludes. In the film, after an unprecedented series of natural disasters threatened the planet, the world’s leaders came together to create an intricate network of satellites to control the global climate and keep everyone safe. But now, something has gone wrong—the system built to protect the Earth is attacking it, and it’s a race against the clock to uncover the real threat before a worldwide geostorm wipes out everything...and everyone along with it. Dean Devlin (writer/producer, Independence Day) makes his feature film directorial debut with suspense thriller Geostorm, starring Gerard Butler, Jim Sturgess (21), Abbie Cornish (Limitless), Alexandra Maria Lara (Rush), Daniel Wu (Warcraft: The Beginning), Eugenio Derbez (Miracles from Heaven), with Oscar nominees Ed Harris (The Hours, Apollo 13) and Andy Garcia (The Godfather: Part III). Geostorm is distributed in the Philippines by Warner Bros. Pictures, a Warner Bros. Entertainment company.